Step right up to see the oddities and marvels of The Blackstone Family Circus and Traveling Wonder Show! Gasp at pit wasps the size of a man’s forearm. Beware the pumpkin-headed corn stalker, lest it plant its roots in you! The Clearing has it secrets, and so does Annie. And it may take everything she has to save her daughter—and the circus—from both. 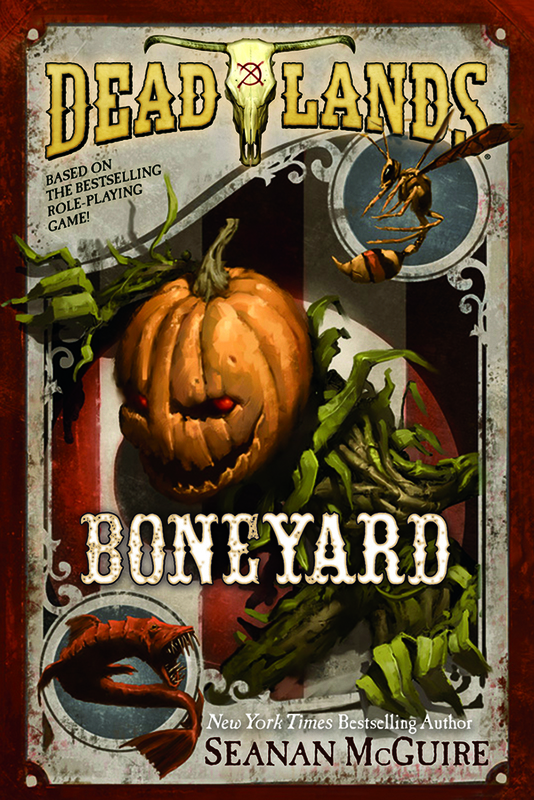 A gripping tale of the Weird West, set on the haunted frontier of DEADLANDS, the award-winning game from Pinnacle Entertainment Group. SEANAN McGUIRE is the author of the October Daye urban fantasy series, the InCryptid series, and other works. She also writes darker fiction as Mira Grant. Seanan lives in Seattle with her cats, a vast collection of creepy dolls, horror movies, and sufficient books to qualify her as a fire hazard. Winner of the 2010 John W. Campbell Award for Best New Writer, in 2013 McGuire became the first person ever to appear five times on the same Hugo ballot.